H&M Machining knows about ­accommodating the customers' needs. 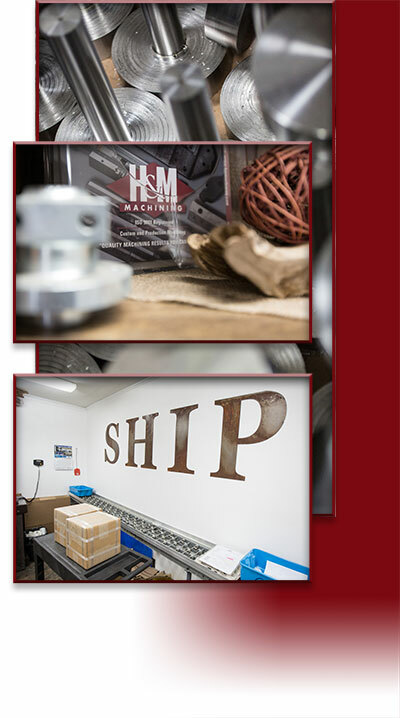 The mid-sized machine shop in Machesney Park - owned and operated by Joe and Deb Muzzillo - efficiently maintains a client base of more than 100 happy customers from here to the East Coast that keep the orders ­flowing at a steady pace.H&M's humble beginnings included rented equipment. After several building additions, further expansion inspired the move to its current location about 11 years ago. These days, H&M employs 28 people who work two shifts, covering 22 hours per day of operations. "It's three things— it's pricing, obviously. Every job we get, we're cheaper than three other people. On time delivery, you have to meet your due date and the quality has got to be right," Joe says. "Our niche has always been turnaround. We can do a 24-hour turnaround. "Joe was just 24, married to his lifelong sweetheart, Deb, and the father of two young boys when he and his business partner started H&M Machining 21 years ago. Their boys are now grown and making contributions to the business. "Our son Jordan works here and our youngest, Hunter may also get involved at some point," says Deb. Nine years ago, Joe and Deb, bought the partner's share and Deb joined the staff, handling its financial dealings. "We do a lot of work in the medical industry, we do a lot in the food industry, the agriculture industry and just regular machine building," said Joe.There was a time when the economy was sputtering and the business hit a rough patch. Joe said H&M was faced with making tough decisions to stay afloat. Muzzillo learned about stick-to-itiveness from growing up with parents who were farmers. "We scaled back, we got lean. You get smarter and we made it through. It ­wasn't easy. It took a couple of years to dig out of that hole. But we survived," says Joe. Today H&M is not only surviving, but thriving.